The basic formula for the multiplayer in the Gears of War series has stayed mostly the same over the years, but People Can Fly is looking to change that up a bit. 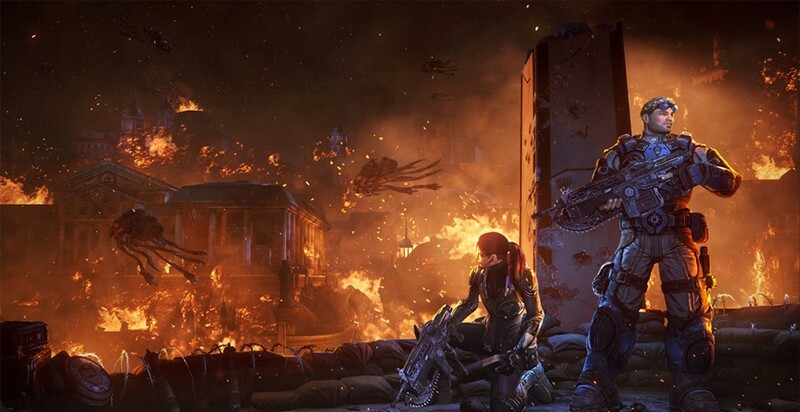 Something that the series has lacked has been the ability to actually have vertical combat, and Gears of War: Judgment is addressing that issue head-on. While it’s great to see changes to level design principles for the new maps, it’s even more exciting to see how much quicker the game has become. The original Gears of War title, while frustrating at times, allowed players with “twitch” skills to be extremely effective and helped separate the average from the elite. There’s a focus on faster gameplay as well as team cooperation, and People Can Fly may have just struck the magic formula. With so many changes coming to the gameplay of the multiplayer portion of the game, where do you stand with Gears of War: Judgment? Be sure to let us know what you think by leaving us a comment below, or discuss Gears of War in our forums.